You can read my review of The World of Raymond Chandler in the December 22 edition of the Boston Globe by clicking the image below. You can buy The World of Raymond Chandler at Barnes & Noble. “The Strange Library” is kin to Salman Rushdie’s “Luka and the Fire of Life,” although it’s considerably shorter with far less mythology. Murakami’s plot might seem a gross-out, but the story is amusing enough for 10-to-13-year-olds and sufficiently resonant to appeal to adults with an affinity for fantasy. You can read my review Haruki Murakami’s Strange Library in the December 17 edition of the Washington Post by clicking the image below. 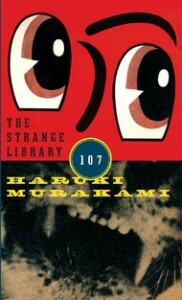 You can buy Murakami’s Strange Library at Barnes & Noble.